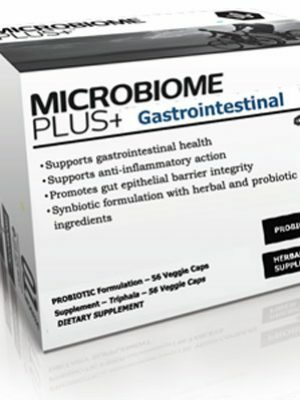 WHAT IS MICROBIOME PLUS+ BONE? 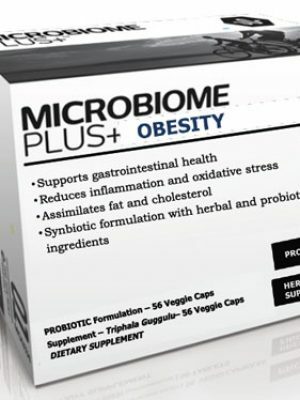 Microbiome Plus+ Bone is a more complete dietary supplement that provides full daily dietary recom-3 mended intake of calcium, and vitamin D and the probiotic L. reuteri NCIMB 30242, which helps maintain healthy levels of 25-hydroxyvitamin D in the body. 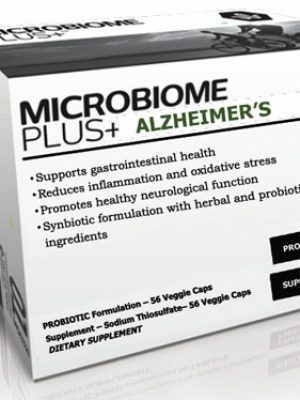 WHY RECOMMEND TO YOUR PATIENTS? 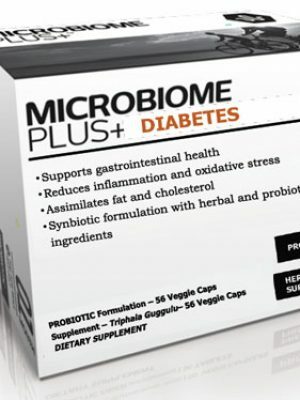 The probiotic in Microbiome Plus+ Bone is the only probiotic shown in clinical trials to maintain healthy levels of serum 25-hydroxyvitamin D – the best clinical indicator of vitamin D levels in the body. 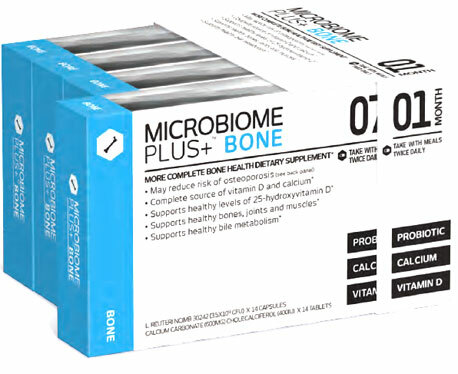 Microbiome Plus+ Bone helps replenish the natural bacteria in your body vital for regulating levels of vitamin D and calcium in your blood2,3 and also provides the daily requirement of dietary calcium and vitamin D3 in a bioavailable form. 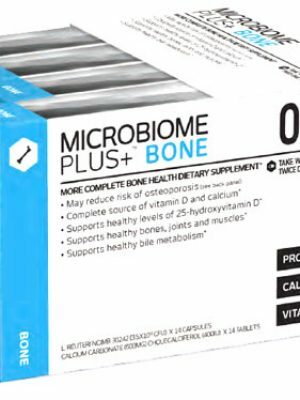 Calcium serves as the key building block for the formation and remodeling of bone. 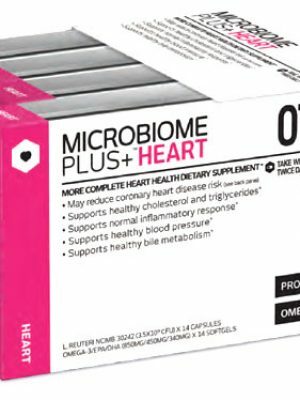 Microbiome Plus+ Bone also contains a form of vitamin D, known as cholecalciferol or vitamin D3, which is essential to the proper absorption of calcium.